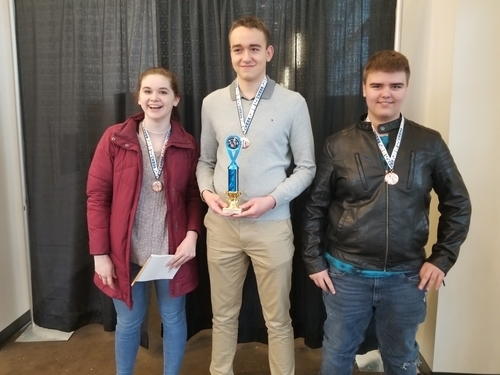 03.03.19 Three Hundred ninety-three players and sixty-three teams competed in the 2019 State Scholastic Team Chess Championship played at the Cross Insurance Center in Bangor, Maine on Saturday, March 2nd. The tournament offered thirteen sections from K-1 Novice to High School Championship and two Open sections. These numbers distinguish the tournament as one of the biggest chess tournaments ever held in Maine. Here's the richly illustrated tournament report with team and individual results. 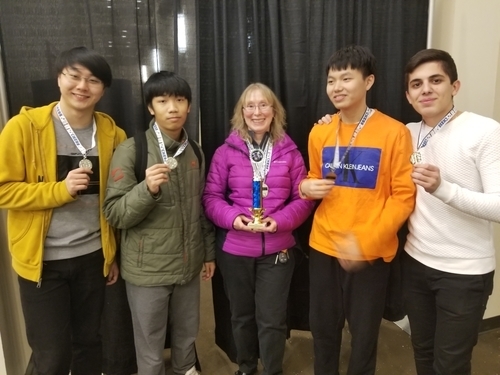 The author would like to express thanks for the incredible hard work and dedication of the planning, organizing, and directing committee in their efforts for the State Scholastic Team Chess Championships tournament. These individuals have worked tirelessly--over the course of many months--to make this tournament happen and we express our deepest gratitude for their commitment (in alphabetical order): Andy Bryan, Dan DeLuca, Michael Dudley, Matthew Fishbein, Bruce Haffner, Wyatt Hendrix, Bill Hartt, Shannon Levesque, Phil Lowell, Elisabeth Mock, Linh Nguyen, Oisin O'Searcoid, Nita Patel, Alex Relyea, Kathy Richards, Ed Rudnicki, Tom Sandford, Steve (Charles) Wong, and Stephen Wong. Countless others played a huge role in the success of this tournament including players, parents, coaches, drivers, and all volunteers. Thank you! 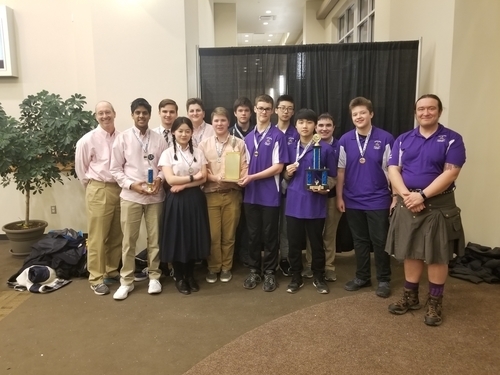 The High School Championship section came down to a dramatic showdown between John Bapst Memorial High School and Cheverus High School. After three rounds, the two teams were tied at 3.0 match points apiece. For the final round, every half point would be critical. 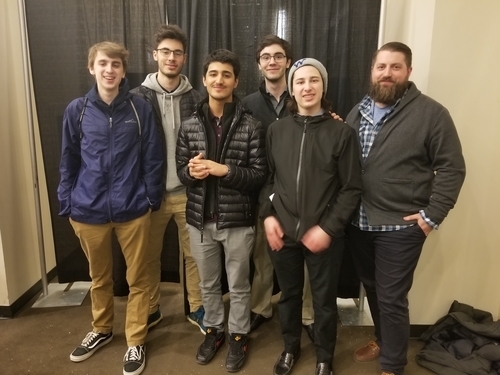 As the fourth-round games finished, the score followed this oscillating course: Game 1: Bapst 0 Cheverus 1, Game 2: Bapst 1 Cheverus 1, Game 3: Bapst 1 Cheverus 2, Game 4: Bapst 1.5 Cheverus 2.5, Game 5 and final: Bapst 2.5 Cheverus 2.5. With that, the High School Championship was over with the two top teams both scoring 3.5 match points and sharing the title. John Bapst came out ahead after calculating the tiebreaks and went home with the first place trophy. 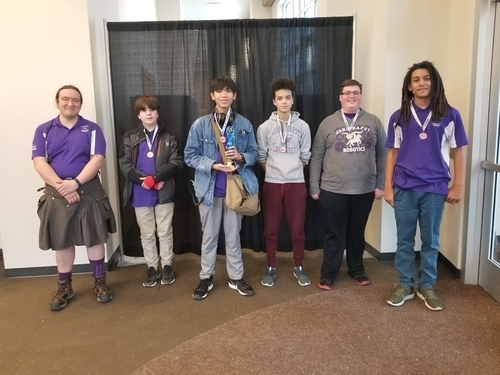 The John Bapst Team consisted of: Ben Mock (Board 1), Prince Wang (Board 2), Kenneth Park (Board 3), Joshua Batstone (Board 4), and Devon Hunter (Board 5). 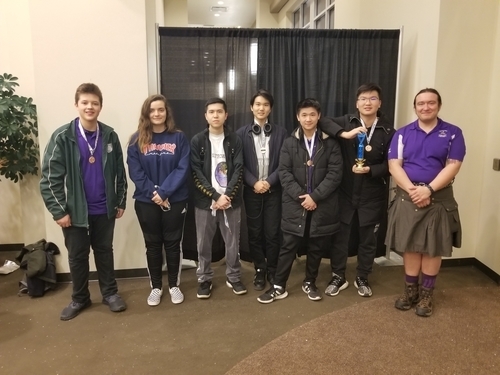 The Cheverus Team was: Aidan Thomas (Board 1), Dennis Kalloor (Board 2), Sam Holbrook (Board 3), Ellen Han (Board 4), and Nicholas Bither (Board 5). Players scoring a perfect 4.0 points in their four games were Ben Mock, Joshua Batstone (Bapst) and Sam Holbrook (Cheverus). Orono High School and Westbrook High School finished in equal third place with 3.0 points. Tommy Owen (Orono) and Sean White (Westbrook) both finished with 4.0 game points. The other 4.0 point getter in the High School Championship section was Declan Thomas of Bonny Eagle High School. Bangor High School topped the High School Reserve section with 10.0 points. Bangor was powered by 4.0 performances from Tobias Coffey and Atticus Foster and 2.0 points from Nathan Tardy. Tied for second place in the High School Reserve section were Foxcroft Academy and John Bapst High School both scoring 9.0 points. Fredrik Boersheim of Thornton Academy finished the tournament with an unbeaten and untied 40 points. Caribou High School won the High School Novice section with 9.0 points. James Usher, Jacob Hancock, and Jacob Palmer each kicked in 3.0 points to propel Caribou to first place. 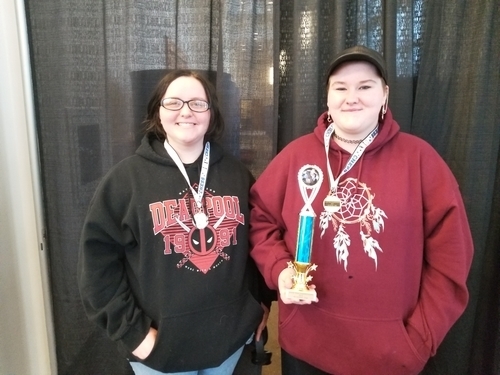 Piscataquis Community High School took second with 7.0 points and John Bapst Memorial High School and Messalonskee High School shared equal third in the High School Novice section with 6.0 points. Peter Svec of Messalonskee scored an undefeated 4.0 points. 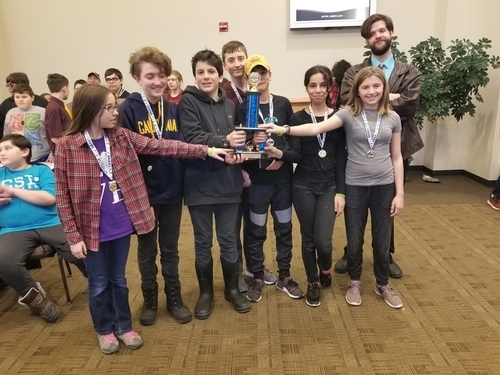 Orono Middle School finished in clear first place in the eighty-one player K-8 Championship section with 16.5 points to become the Maine Middle School Team Chess Champions. 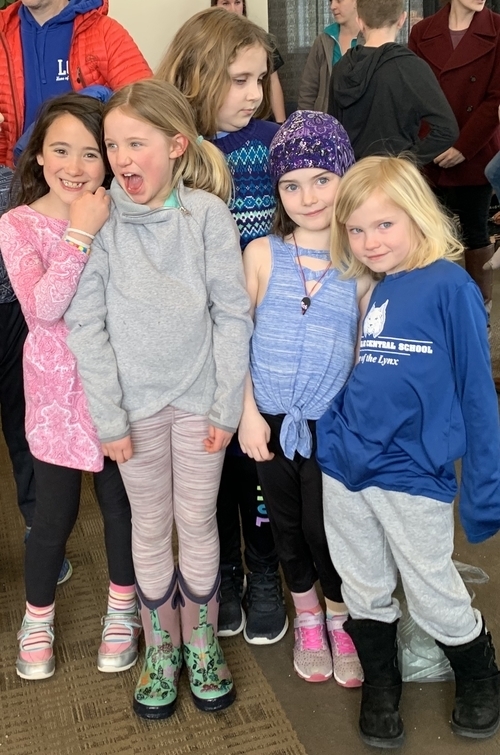 The Orono team included Evan Smith (3.5), Taya Bayless (3.5), Tristan Cousineau (3.5), Eli Swartz (3.0), Athena Saucier (3.0), Tuqa Al-Gawharri (2.0), and Emma Eckert (1.0). 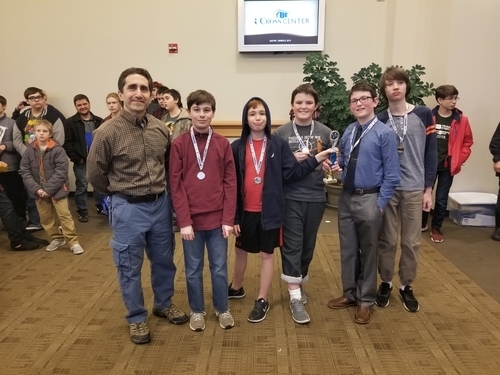 Cape Elizabeth Middle School put up 14.0 points for clear second on performances by Henry Abrahamsen (3.5), Noah Abbot (3.5), Jacob Robinson (3.0), Trevor Oakley (2.0), and Eli Beber (2.0). Third place in the K-8 Championship section went to Bonny Eagle Middle School with 13.5 points. In the K-8 Novice section, Ellsworth Elementary Middle School dominated with 11.0 points, a clear 4.0 points ahead of second place Monmouth Middle School. Ellsworth scorers included Christopher Taylor (4.0), Abbie Young (4.0), Noah Bubier (3.0), Kenneth Grant (2.0), and Elizabeth Ford (2.0). The K-6 Championship section, like the K-8 Championship section, also fielded eighty-one players. Lincolnville Central School and Brewer Middle School finished as co-champions with 15.5 points. 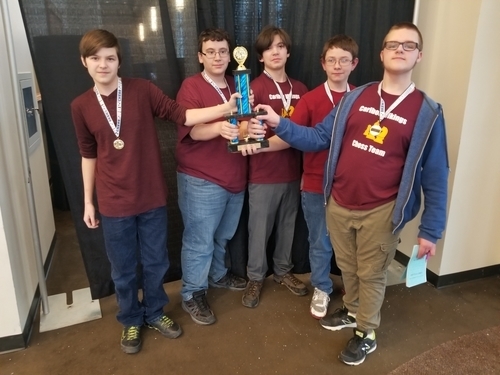 Lincolnville received the first place trophy on tiebreaks. Top point getters for Lincolnville were: Thomas Pickford (4.0), Zachary Egeland (3.5), Bryson Hise (3.0), Rose Fishman (2.5), Liana Talty (2.5), and Zev Whitcomb. Brewer's top guns were: Will Grover (3.5), Zachary Arnold (3.0), Matthew Lo (3.0), Dhruv Jan ( 3.0), and Ben Mlylinski (3.0). Holbrook School took third in the K-6 Championship section with 14.0 points. 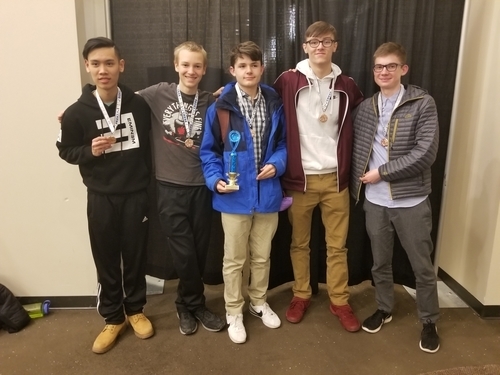 Will Hart scored 4.0 points for Holbrook and his teammates kicked in 3.5 (Rebecca Rushmore), 2.5 (Keegan Allen), 2.0 (Phineas Degre), 2.0 (Sawyer Kinney), and (1.0) Taylor Herald. Weatherbee Elementary School edged out Ellsworth Elementary Middle School with 10.0 points to 9.5 points. Weatherbee's top scorers were: Eddie Larochelle (4.0), Alex Adams (3.0), and Nick LLerna (3.0). Ellsworth's top players included Gavin Fontaine (4.0), Dylan Kerns (3.0), Ricky Winder (2.5), and Griffy Young (2.5). 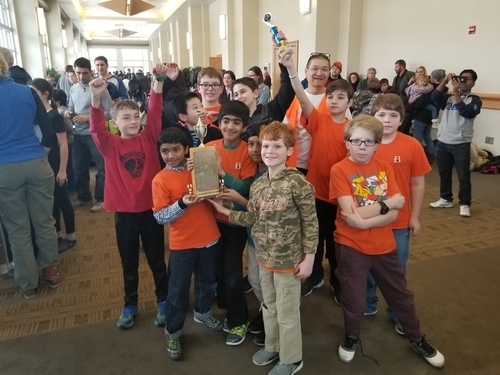 Camden Rockport Elementary School won the K-3 Championship section with 11.0 points to take the title of K-3 State Champions. Miles Kaplan (4.0), Hector Clayton (4.0), and Sam Blystone (3.0) were Camden Rockport's high scorers. 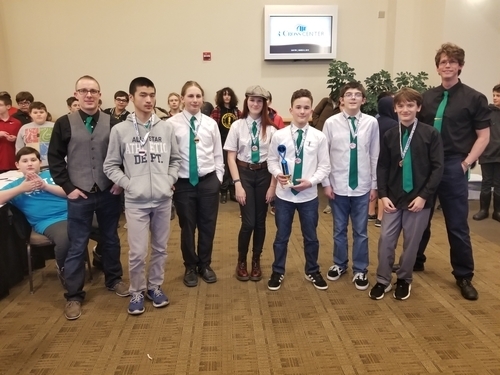 Lincolnville Central School took clear second place with 9.5 points on great performances by Ray Beach (3.5) and Maggie Harbaugh, Jonathan O'Brien, Grant Morrison, Andrew O'Brien, and Lily Fishman all who scored 3.0 points. 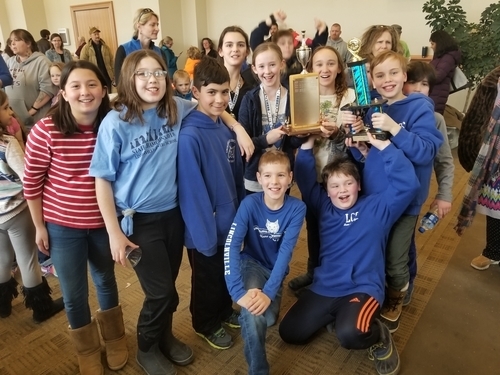 Lincolnville Central School took first in the K-1 Championship section on the shoulders of Oren Hurley (2.5), Clara Harbaugh (2.0), Eva Hurley (2.0), and Braydin Moody (2.0). Charlotte Lincoln (1.0) and Michael Ross (0.5) lead Deer Isle-Stonington to first place in the K-1 Novice section. 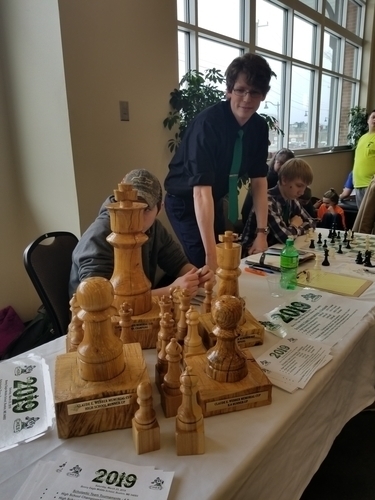 Thanks again to all who helped make this tournament a great experience for Maine's young chess players! 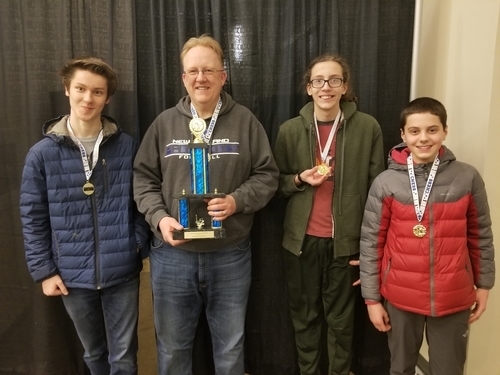 Maine High School Chess Co-Champions John Bapst Memorial High School and Cheverus High School with coaches Mike Dudley (right) and Dan Lavallee (left). 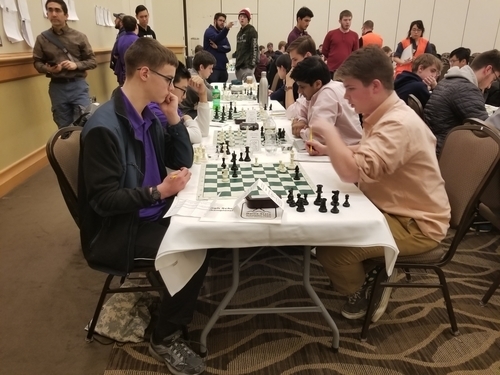 John Bapst Memorial High School on the left plays Cheverus High School in the final round of the Maine High School Team Chess Championships. Westbrook High School pictured here with coach John Morgan (right). Congratulations to Bangor High School and coach Jon Dearing for winning the High School Reserve section. John Bapst Memorial High School. Third place in the K-8 Championship section Bonny Eagle Middle School with coaches Oisin O'Searcoid (left) and Andrew DeMaris. 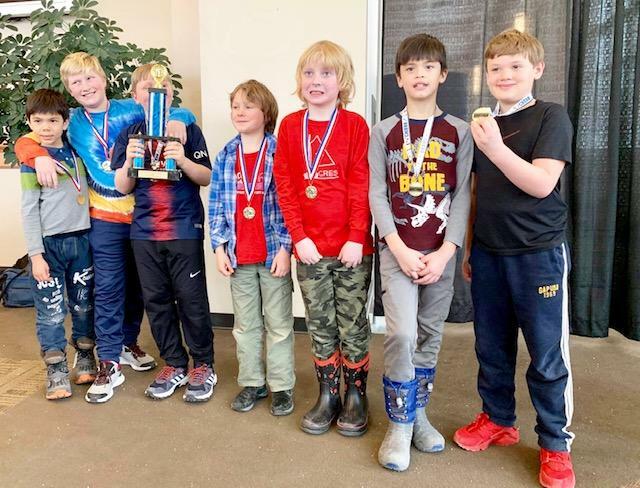 The Camden Rockport Elementart School K-3 Championship Team (from left): Victor Clayton, Emmett Millikin, Sam Blystone, Evan Senders, Ezra Oldham, Hector Clayton, and Miles Kaplan. Airline Community School took forth place in the K-3 Championship section. K-1 State Champion Runner-Up from Camden Rockport Elementary School William Kaplan. Maine Chess Association President Michael Dudley welcomes players to the tournament. and the players listen intently. Thanks to Maine Chess Association Treasurer Sannon Levesque (left) and Anne Witick for staffing the registration table. Chess builds a child's critical thinking, problem solving, and concentration skills. Chess also teaches team building and social skills. "You're not going to play that are you?" Christine VanCott of ChessKid.com made the trip up to Maine from North Carolina specifically to attend the tournament. 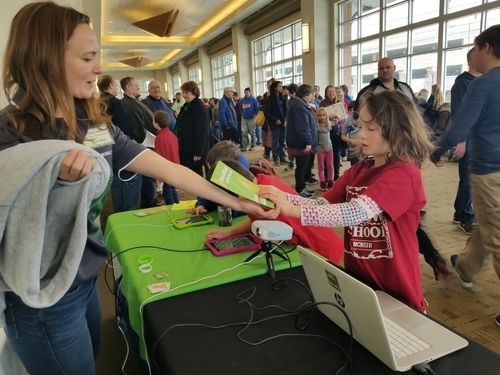 She provided hours of chess education, entertainment, and ChessKid goodies to the players. 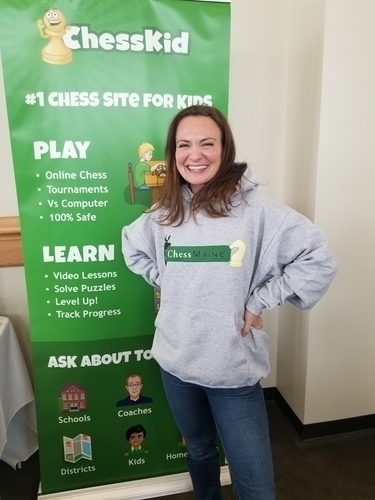 To express our sincere thanks we gifted Christine a bag of Maine-made products and a coveted ChessMaine hoodie! 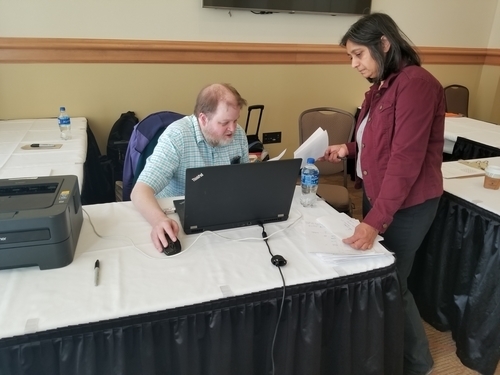 Tournament directors Elisabeth Mock and Andy Bryan verify a result in the K-3 and K-1 sections. The Lincolnville Central School K-6 Team chillin' with the bling. Maine's highest-rated scholastic player, Hermon High School's Wyatt Hendrix, makes a move in the High School Championship section. For parents and coaches, this is serious business. 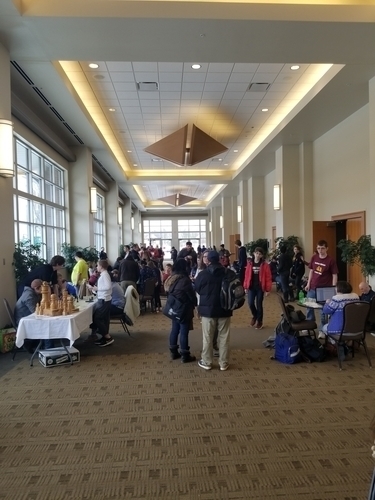 Ballroom 4 at the Cross Insurance Center in Bangor Maine was the main tournament room. Orono coach Ryan Tripp goes over a game with one of his students. Bonny Eagle coach Andrew DeMaris created these beautiful chess piece trophies for the upcoming Claude E Webber Memorial Cup. 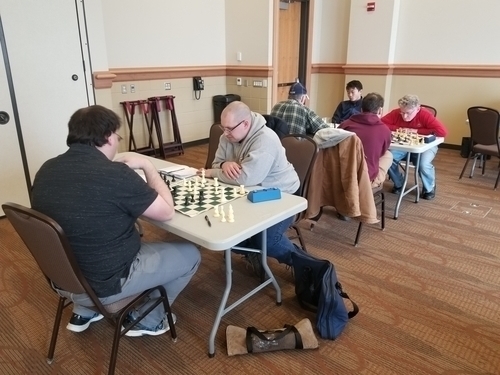 In addition to the scholastic sections, there was an all-ages quad section won by Dan Robbins (foreground left) and a five-player Swiss section won by J. Paul Ciarrocchi (background left). 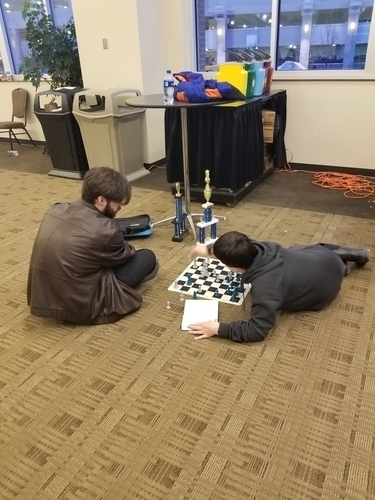 We hope to see you at the Maine State Individual Chess Championships at John Bapst Memorial High School on Saturday, March 30th!